Designed with quality approved material, we are offering a wide range of Ripening Chamber. Our offered Ripening Chamber is available with us at market leading price range and we can also provide them in safe packaging to our clients. For keeping mangoes all time fresh, we are offering a wide range of Mango Ripening Chamber. 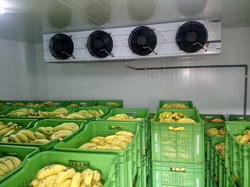 Our offered Mango Ripening Chamber is made with high quality material which do not harm mangoes. Available at competitive price range, this Mango Ripening Chamber can be avail from us in safe packaging. Keeping the track of latest happening of this domain, we present clients with the superior quality of Fruits Ripening Chamber. Easy to operate, low maintenance and high functionality, makes the fruits ripening chamber highly demanded. 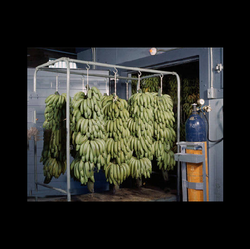 By following total quality management, the quality of the offered fruit ripening chamber is always maintained. 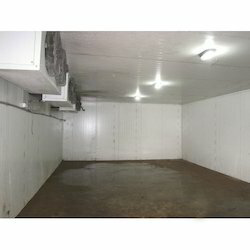 Cold room is the way get artificial refrigeration to fixed space to storage facility up to the required temperature to facilitate the building of storage items. It is widely applied in food plants, dairy plants, pharmaceutical plants, chemical plants, fruit and vegetable warehouse, eggs warehouses, hotels, restaurants, supermarkets, hospitals, blood banks, military, laboratories, etc. 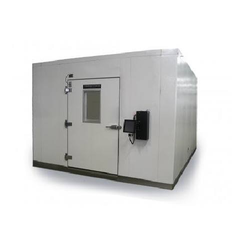 Leveraging on our quality oriented professionals; we are offering a wide range of Cold Storage Chamber to our customers as per the requirements of the customers. Owing to high quality standards, these are widely used in Hotel, Food Chain, Hospitals and Research Centers. Defending on the requirement of temperatures and the budget, we offer an extensive range. Leveraging on our quality oriented professionals; we are offering Ripening Chamber. All our products are manufactured using finest quality material so that these are in compliance with international quality standards. The material used to manufacture the offered range is sourced from well-known vendors of market. Furthermore, we customize these products as per customers' requirements.